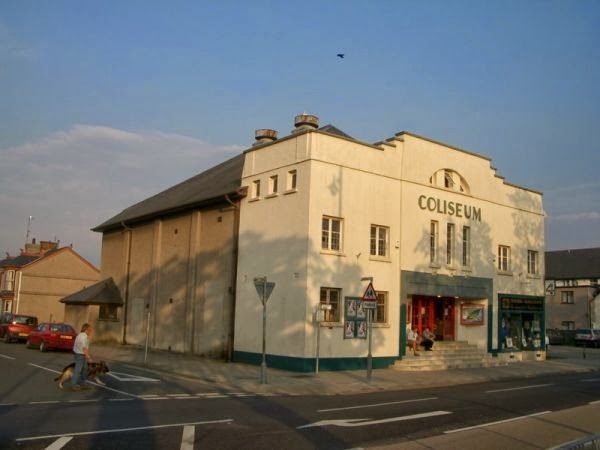 The UK’s first and oldest multiplex is set to be demolished, some 30 years after it first opened. The Point, which resembles a giant red pyramid, was built in 1985 but the site is now set for retail development. Campaigners have been lobbying to retain the structure, but planners have recommended the scheme be approved at a meeting on Thursday. Site owners have said their proposals would “kick-start” local investment. EasyCinema, part of Greek entrepreneur Stelios Haji-Ioannou’s no-frills empire easyGroup, will sell tickets for as low as 20p if booked a month in advance, applying the company’s yield management pricing structure used in businesses ranging from car rentals to plane tickets. Prices will rise nearer showtime. But without digital such staff/cost reduction proved elusive, although these days rivals such as Vue have pushed hard into self-service ticketing. EasyCinema also shot itself in the financial foot by refusing to sell concession (presumably to save on cleaning staff), leading to others selling popcorn and sweets outside the cinema. USA: More and more cinemas are looking to expand their offerings with alcohol and fine dining. Muskegon-area moviegoers who frequent the area’s largest theater complex will likely have access to a new menu and in-service in the next year. Celebration Banquets LLC has applied for a Quota Class C Liquor License in the City of Norton Shores for the Cinema Carousel theater complex it operates at 4289 Grand Haven Rd. Laser: Christie Digital has announced that it will showcase its latest laser projection technology, using six primary colour lasers. UK: The screening of NT Live’s War Horse has proven so popular (no surprise to anyone who saw it on stage, rather than Spielberg’s adaptation) that Encore performances are being scheduled. THE Waterfront Cinema, Greenock have added two more screenings of the National Theatre production of War Horse live from London’s West End after a sell-out first night. India: Actors-turned-politicians is nothing new (particularly in India), but this must be the first time a politician appears on the big screen as India’s BJP proposes to beam speeches of its prime minister-hopeful candidate into cinemas across the state. In a move aimed at increasing the reach and penetration of Narendra Modi’s Vijay Shanknaad rally on Sunday, the state BJP unit is reportedly planning to tie up with some prominent cinema halls of the city for live telecast of his speech. Party insiders said if the proposal materializes then it would set a precedent for other parties to follow. USA (CA): San Francisco demonstrates its progressive credentials with local cinema equipping its auditoriums for patrons who are hearing or visually impaired. New technology at the Broadway Cinema movie theater in Eureka now allows both blind and deaf people the chance to experience movies in a different way. The theater has a closed-captioning machine that displays the dialogue from the film. And for the blind, headphones describe the action unfolding on the screen. USA (WA): The same goes for the north-west state of Washington. Kitsap County residents who are visually and/or hearing impaired will now have an opportunity to experience first-run movies with special devices, glasses and headphones during regular show times at Bainbridge Cinemas. UK: Locals are objecting to the conversion of an old Pizza Express in north London after the developers insisted that they need to increase the hight of the building. THE battle over the future of the former North London Polytechnic building in the heart of Kentish Town has led to objectors arguing that offering a cinema on the ground floor is a sweetener to get permission to build an overbearing extension on the roof. Ireland: The town of Limerick follows in the footsteps of Cork in getting a super-sized screen. (Just don’t call it an I-M-A-X). As part of a €2m refurbishment, the Omniplex Cinema in Dooradoyle opened its OmniplexMAXX giant cinema screen on Friday. The giant screen, which is 15.5 metres wide and nine metres high, has high definition digital quality picture, and incorporates 3D technology. 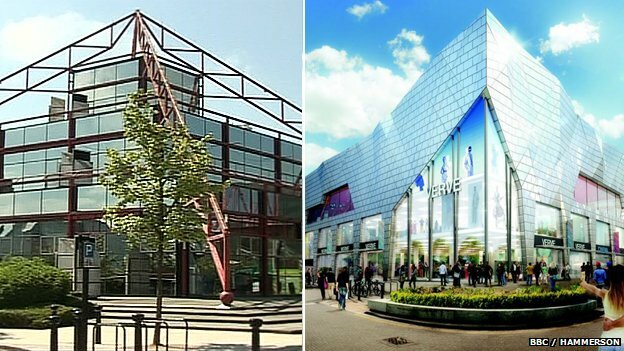 UK: The UK town of Oldham is one step closer to having its own cinema. THE development of the Old Town Hall restaurant and cinema plan was given a boost as cabinet members agreed works needed to advance the project. Work at the former Oldham Town Hall will now accelerate, with the installation of a permanent roof, building work, support foundations and external stonework cleaning and repairs. Council leader Jim McMahon said: “Some people may call into question the spending on capital projects such as the town hall at this time and think it is a risk. UK: Fans of the British 1960s cult series The Prisoner can now buy a cinema with a unique connection to the show. Australia: A cinema that was re-opened thanks to the help of George Miller, the director of Babe, has re-opened with a screening of…you guessed it, Babe. A STAR of Hunter cinema has returned over the weekend, with the Regal Cinema’s screen flickering to life for the first time in almost a decade. The cinema re-opened with screenings of Babe on the weekend, the first screenings since its resurrection. UK: “HERITAGE cinema can sit comfortably with a new multiplex in Northwich, according to a community group working to reopen the Plaza. Northwich Cinema Trust is reassuring Guardian readers that it still hopes to open the Grade II listed building, in Witton Street, despite the announcement that ODEON is coming to town. UK: Cinemas can inspire passion, even long after they are gone and in this case, became a bingo hall that is about to make way for low-cost retailer Iceland to build a car park. Borough councillors have given their backing to the Save the Regent campaign after a passionate presentation at the latest borough council meeting. 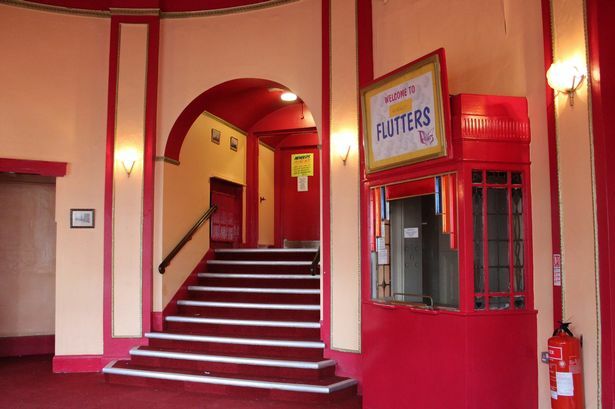 Campaigners are delighted with the latest development in their quest to stop Flutters Bingo Hall from being destroyed and turned into a car park.